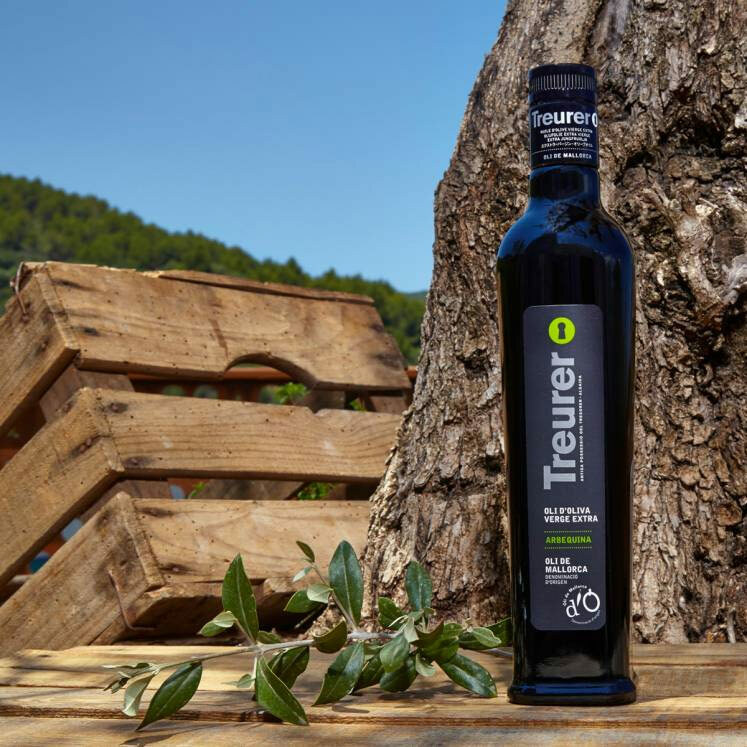 A harmonious, genuine olive oil of extra virgen quality from the majorcan Arbequina olive, it has been awarded the Certificate of Origen "Oli de Mallorca". It is of a fruity-peppery taste with subtle bitter attributes. It smells of almonds, nuts and fennel and thus is a perfect enrichment for salads and grilled dishes, both meat and fish, as well as vegetables. Majorcan olive oil.